ALEXANDRIA, La.—For the first time in Southern Baptist Convention (SBC) history, dating back to 1929 when a unified national budget was first proposed, 2013 designated receipts topped Cooperative Program (CP) gifts distributed by the SBC Executive Committee. Moreover, that historical precedent was repeated in 2014, making it the second time for this phenomenon to occur since the Great Commission Resurgence (GCR) reforms were approved in 2010. Now, the SBC Executive Committee has released the final numbers for 2015, indicating a third straight year of upended giving, with Baptist Press reporting Oct. 2 that gifts through the CP amounted to more than $189 million, but designated giving exceeded $195 million. Although this apparent new norm has taken place since the GCR reforms were approved (including the creation of a new category for giving, “Great Commission Giving” to “celebrate every dollar given”), information published in the SBC Annual shows this phenomenon has been developing since 2004. That year, the Lottie Moon Christmas Offering (LMCO) leapt by more than $20 million, and the Annie Armstrong Easter Offering (AAEO) jumped by $5 million, with the combined increases bringing designated giving within $854,987 of overtaking the CP as the preferred channel for funding Southern Baptists’ national causes. But, there has been a dramatic shift since 2010 as well. Unfortunately, looking at the 12-year transition year-by-year masks within the data the dramatic impact the move toward designated giving has had on Southern Baptists’ cooperative missions and ministries. But, using 2010 contributions as a baseline and comparing each succeeding year to that benchmark reveals an obvious shift toward a preference for designated giving that has had a negative effect on funding for all national ministries that receive CP support. However, this method also shows the two mission boards have been able to offset the loss in CP funds with gains in designated giving through their respective annual special offerings. During this four-year span, the CP experienced a cumulative loss of $8.9 million in gifts, while the two special offerings saw a combined $28.5 million windfall. The IMB and NAMB receive large shares of the SBC Allocation Budget, 50.41 percent and 22.79 percent, respectively (more than 73 percent, combined) and both experienced significant CP losses from 2011-2014 relative to the baseline year of 2010—about $4.5 million (IMB) and $2 million (NAMB). But each receives 100 percent of their corresponding special offering. So during this timeframe, the IMB netted an extra $16 million and NAMB’s funding was boosted by $6 million, overall, when CP losses are balanced against the respective gains each saw in designated receipts. • SBC churches are receiving fewer contributions to the extent that undesignated gifts to our 46,500 churches dropped from a little more than $8.91 billion in 2010 to less than $8.75 billion in 2014 (a loss of about $163 million in gifts). 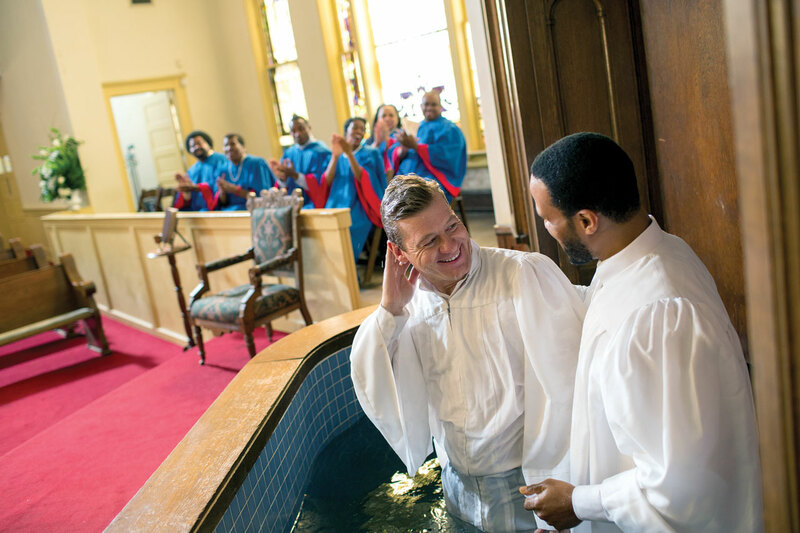 • During this timeframe, these same congregations experienced a loss of 520,980 weekly attendees (6,195,449 worshippers in 2010, and 5,674,469 in 2014), and this has had a profound impact on giving to state and national causes. • Meanwhile, the first of the Baby Boomers reached retirement age on Jan. 1, 2011. Importantly, on that day, as well as each day since, 10,000 members of this generational cohort turned 65 years old (representing a jump of about 3,000 persons reaching that age per day). As pertaining to SBC giving, many Southern Baptists have transitioned from earning a salary to receiving social security payments and retirement disbursements, affecting what they are able to contribute. Yet, despite these negative data points, on average, it appears Southern Baptists are giving more than they have before on an individual basis: about $103 more per person per year (nearly $1,541 in 2014 compared to $1,438 plus in 2010), or a per capita increase of 7.23 percent from 2010-2014. Unfortunately, the extra $586 million given last year by Southern Baptists could not make up for the drastic drop in funding caused by the loss of 520,980 regular worshippers during this timeframe (an estimated $803 million lost in potential contributions for 2014). • Baptist Press reported in March that 23 of 42 state conventions have responded to the 2010 GCR initiative by increasing the proportion of CP gifts they forward to national causes with the intention of moving toward a 50/50 split with the denomination. • Furthermore, these good faith actions have come as state conventions are dealing with the phasing out of Cooperative Agreements with the North American Mission Board, affecting about $51 million in funding. In essence, these funds have been redirected from state conventions to NAMB. But, NAMB’s role for nurturing pioneer state conventions has been “left” for the larger state conventions to pick up. SBC leaders at various levels within the denomination have identified a number of behaviors to explain the decline in CP giving—alternately pointing the blame at (1) churches for giving less of a percentage of what they receive, (2) individuals for failing to tithe on what they earn, and (3) the denomination as a whole for selecting entity leaders who are godly men but poor examples themselves in supporting the CP with their own churches’ budgets. But lost in all this discussion about the decline in giving is the point that, now, there is another dimension—churches are designating more to national causes than what is being received for SBC missions and ministries through the Cooperative Program. The boon in designated giving has been handled differently by the SBC’s two missions entities, which have benefited the most from this shift to designated giving. NAMB, on the other hand, has been able to solidify its financial position, in part because of restructuring, but also apparently because of the surge in designated giving and, perhaps, the benefit of Cooperative Agreement monies recovered from the state conventions. According to data published in the SBC Annual, since 2010 NAMB has seen a $33.7 million drop in post-retirement benefit liabilities: a $2.4 million drop in current liabilities; a $77.4 million growth in unrestricted assets; and, an $8.3 million growth in restricted assets. Combined, this translates into a $121.8 million improvement in its finances since 2010. Moreover, by shifting assets, NAMB has been able to increase its investments by $135.5 million and purchase about $4.4 million more in property and equipment. Signs of Hope or More of the Same? Earlier this year, NAMB released information regarding the class of 2010 church plants that showed this group of 757 congregations had contributed $3.3 million to missions in 2013 (the latest ACP report available at the time)—amounting to about $4,539 given by each church plant. Although the report shared that this was a year-to-year increase of 12 percent, no other descriptive data was offered about how this group of churches gave. However, NAMB previously published research in the Church Survivability and Health Study 2007 showing church plants typically receive $70,000 in annual receipts. If the class of 2010 averaged $70,000 in contributions annually, it would mean the average $4,539 they forwarded to support SBC missions and ministries amounted to an average 6.5 percent of what individuals gave to them. Likewise, if all of the $4,539 was given through the CP, it would mean the next generation of Southern Baptist churches is more committed to cooperative giving than more established SBC congregations, which in 2014 averaged giving 5.47 percent of undesignated receipts through the Cooperative Program. But NAMB was explicit the $3.3 million figure included the CP, Lottie Moon and Annie Armstrong offerings, combined. Unfortunately, this aggregate figure effectively masks details about how these church plants specifically are giving toward SBC ministries. The Baptist Message asked NAMB for a breakout of how much of the $3.3 million given to missions by the class of 2010 was given through the CP compared to amounts contributed to the LMCO, the AAEO, and other Great Commission Giving efforts, information they used to compile the $3.3 million figure they have shared with the public on multiple occasions. We also asked for the total undesignated receipts for this year group. Together, this information would have shown whether church plants are on par, ahead of or behind other SBC congregations in how they support the SBC causes, specifically through the CP. Also, to see whether outside ties make a difference (such as connections with Acts 29), we asked about affiliations of these church plants with other denominations and church planting networks. This information might have helped settle whether Southern Baptists’ concerns about Calvinist church plants are merited or not, at least with regard to support of the CP. Unfortunately, NAMB declined our request. The point of this analysis is not to position the CP against the special missions offerings for the IMB and NAMB, but to illustrate the duress of the cooperative system with which Southern Baptists have successfully funded state and worldwide missions and ministries for 90 years. Fortunately, IMB and NAMB each have a special offering to offset lost support from the CP. But data shows even those funding streams are under extreme pressure, and, it is no stretch to suggest that as the CP declines, the Lottie Moon Christmas Offering and Annie Armstrong Easter Offering will follow. Moreover, the signs already point to the real possibility of such trouble. For instance since 2000, total undesignated receipts for SBC churches have gone from $ 5.98 billion to $8.75 billion, rising 46.27 percent, although this revenue has declined in recent years. But the AAEO rose just 20.02 percent ($48.5 million to $58.1 million) and the LMCO went from $113.18 million to $153 million, a 35.19 percent increase. In other words, both mission offerings trailed when income rose, and now SBC churches are in an era of overall financial decline. The SBC is “in extremis,” which in a nautical context, requires drastic action in order to avoid the loss of the ship. Southern Baptists are robbing God. Members of SBC churches have stepped up giving from an average of $1,438 to $1,541 from 2011 to 2014. But, in 2014, the median household income (half of households were above this number and half below it) in the United States was about $52,000 and the average household income (skewed by higher income bracket households) was $72,000. Both metrics reveal Southern Baptists are not even approaching anything close to a tithe of their total income. Southern Baptists teach tithing, but whatever we are doing is not connecting with our people, and we must urgently find an effective way to communicate the importance of tithing—not for funding SBC missions and ministries, but for obedience to God. But, if Southern Baptists tithed, undesignated receipts would be more than 3 to 5 times what they were in 2014 ($29.5 billion to $40.9 billion, compared to the $8.75 billion that actually was contributed). Likewise, congregations must do more to reach our country and the world outside of the local mission area. Nearly 89 percent of all receipts stayed within the walls of the church in 2014, an amount that has held steady since 2000. The world is growing, but our outreach to it is not. Finally, most importantly, we must once again be evangelistic—we have got to reach the lost. The Great Commission in Matt. 28:18-20 offers a very specific sequence to follow in obeying God’s command to reach “Jerusalem, Judea, Samaria and the ends of the Earth”: evangelize, baptize and teach. It is apparent that too many of our congregations are content simply to teach those who already are among us and are neglecting evangelism among the lost. In just four years, Southern Baptist congregations, combined, lost 520,980 weekly worshippers, or 8.4 percent of our active membership. If we do not restore evangelism as a priority, we face extinction, not just a loss of cooperative funding! In His letter to the church at Ephesus (the primary center of evangelistic effort in Christendom at the time), Jesus warned they faced losing their lampstand because they had lost focus. Today, only archeologists and tourists visit that place. The SBC must remember, repent and return to our first love as well, or we face a similar demise.